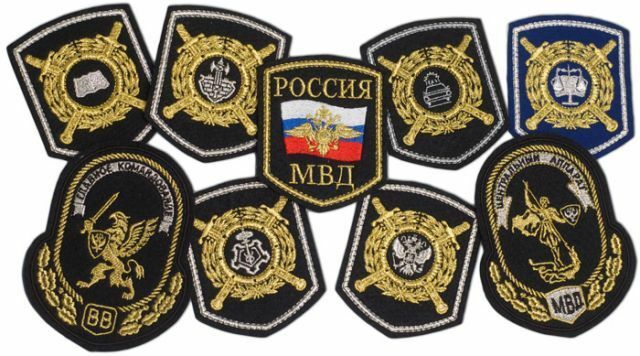 The patch is insignia from the military and organized structures. Initially, there was talk about tattoos, then in the Middle ages began to use stripes-chevrons, which served as a symbol of belonging in the service. At the same time, the military is constantly confronted with the problem of the right stripe Chevron on the form. Patch, needle, thread, pins, ruler. Before you start to sew a patch on a jacket, it should be remembered that all patches have different shapes and sizes. In addition, Chevron can be mounted on various places. Special regulations can specify the order in which the stripes of the Chevron. Chevron, "Russia, Ministry of internal Affairs" according to the normative documents should be sewn on the left sleeve of the uniforms. The Chevron should be placed at a distance of 8cm from the seam on the shoulder or bend to the most top point of the stripe. Stripes, testifying to membership of various services and departments should be sewn on the right sleeve in the center of the pocket located on the sleeve. The rule applies to summer and winter form. Other forms Chevron stitched on right sleeve indented at 8cm from the top seam to the top of the Chevron. Directional stripe cadets of educational institutions of the Ministry of interior are rectangular in shape and sewn on left sleeve, away 20cm from top seam to top of stripe. First measured the distance from the top seam of the sleeves and the patch is placed at a specified distance and the upper edge is fixed with a pin. The bottom edge should be sewn so that when lowered the arm patch was located to go on the sleeve vertically. Prick with a pin the lower edge of the stripe. Fine stitches inside of the Chevron is sewn along the contour. The patch should fit snugly to the sleeve. If, after sewing fabric purses, or Chevron was not located at the center of the sleeve and vertically, it is necessary to alter it. Choose the color of thread that matches the color of the fabric.